On Keenhouse's long awaited second album, Four Dreams, Ken Rangkuty delivers a unique blend of electronic wizardry and classical stylings that creates something richer than the average bedroom electronica. A four year process that included travel through the Americas, Europe, and Asia, Rangkuty used his experiences as a canvas to bridge the gap where electronic music, as he puts it, "just becomes music." Over a sprawling 12 tracks, Four Dreams became his personal study into making universal music that transcends traditional electronic modes, while telling his story of the journey that it took to get there. In November 2013 Keenhouse and Pazos Media started collaborating together to promote Keenhouse's latest video, Diary 11 , a video - collaboration between Director Zara Bloom and Keenhouse. Diary 11 is a story of first meetings and first connections. A tale about the alienation caused by miscommunications between two people. 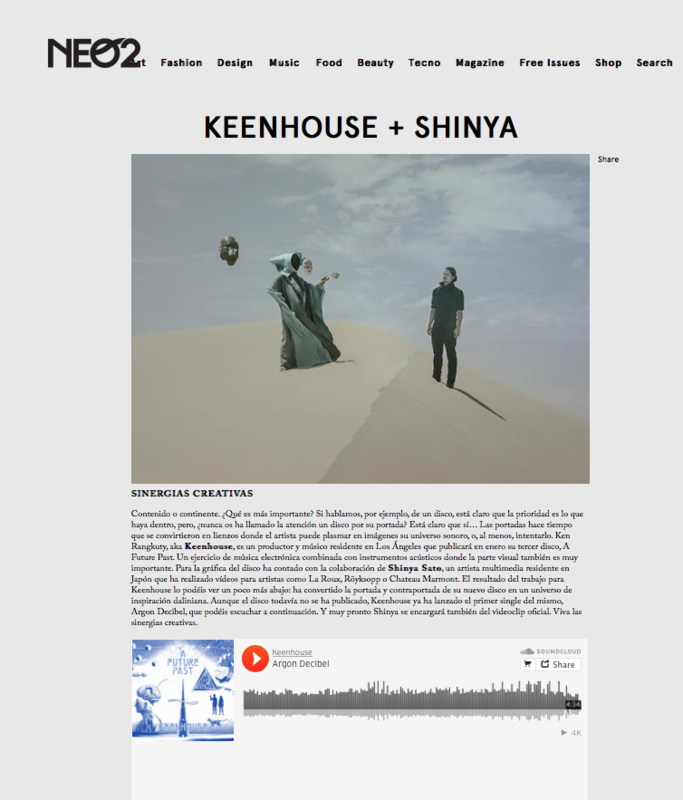 Keenhouse released in February 2015 his third LP "A Future Past", a magical blend of electronic music and the most classical instruments. "Argon Decibel" was the first single and the band is currently about to release the video for their second single "Time"